Mme. Octave, my time is not so precious; whoever made our time didn’t sell it to us. When, in November 2004, pianist Keith Jarrett came back to solo live performances for a short leg of three concerts in Europe after an eight years hiatus, expectations among the audience were unquestionably high. The news about his disease, which had precluded the pianist from playing solo in the previous years, with exception of a few performances in Japan, played a role in increasing the hype surrounding the shows. It was not the first time Jarrett stopped playing live with his trio or alone. But never before this had happened for such a long timeframe. A sold out crowd reconvened in Auditorium’s Santa Cecilia hall, in Rome, on 7th of the month, led by the since mayor of the city, Walter Veltroni, a publicly declared fan of him, for the the first of the three nights. A strange feeling of premiere-like quiet chit chat mixed with a hieratic silence and a subtle thrilling hailed the minutes preceding the entrance of the pianist. Jarrett was a beloved star since multiple decades, a global artist, able to attract worldwide appreciation in everywhere for his ability to create almost mystic musical events. The audience expected this encounter, evidently with a script in mind. Through various groundbreaking solo recordings, Keith Jarrett had shaped a new level of solo improvisation and created an audience of his own, at such a level unattainable for the majority of jazz artists. When seventeen minutes were passed into the show -after he had entered in quietest silence in an almost dark stage with exception of a dim light on his piano, said no word, started flowing out a twisted and almost atonal improvisation, being disturbed by coughs and eventually stopped playing- after this timeframe, it was clear to everyone that the script had broken. There was no Köln Concert there. Goodbye enchanted melodies, delightful and heavenly pastoral themes. All gone. Welcome now a creepy and darkest inner self, an eruption of bloody magma, that melted down any expectation the audience might have had mistakenly cultivated. Many people in the aftershow argued this must have been a momentary deviation from the norm by an artist needing some time to recover his previous level of skill, his ability to amuse people with a multitude of angels. But that was wrong. This was the new direction, and the audience was soon expected to embrace this direction. Heading to where exactly? Born in Allentown, Pennsylvania, in 1945, Keith Jarrett has developed a unique and eclectic mixture of styles in his playing and, most of all, an unprecedented ability to mix all of them. Being recognized since early age as a child prodigy, he was exposed to classical, jazz, gospel, american folk songs, blues, popular music. He was able to seamlessly melt all this heterogeneous material in his improvisations. He started his career in the mid-60s with Art Blakey, then moving in the band of Charles Lloyd, with whom he had exposure to European audiences for the first time, and finally playing with Miles Davis in his 1970 line-up, during which experience he played, for one of the rarest times in his life, an electric instrument. While touring with this band, he had occasion to start his artistic marriage with ECM, when producer Manfred Eicher approached him to record a solo reel in Oslo, at the glorious Rainbow studio. That was Facing You, the first of multiple recordings he would publish for ECM: he would be soon to investigate the possibilities of multiple line-ups, ranging from the European Quartet (so called in comparison to the contemporaneous American Quartet), or in Trio with Haden and Motian, with Jan Garbarek, and soon in the Standards Trio, which became, since the 80s, his most productive line-up. He also explored the classical music realm, executing solo piano works, or along with orchestra. And yes, finally his solo improvised recordings. Eicher and Jarrett have built a unique producer-artist relationship. The pianist often stressed the fact that, it wouldn’t have been for Eicher, he would have not explored the solo direction. The German producer sided Jarrett through the development of a unique language of improvisation, and his role in this process is still some kind of undisclosed. When, in 1972, Jarrett was scheduled for some solo gigs in Germany, the direction he was heading to became clearer. In Heidelberg that year he started the show with a setlist of songs in mind, but, instead of stopping playing between each, he moved seamlessly from one to another. Connecting the tracks with improvisations, those transitions became more and more invisible, the music resulting in a continuos flow of interconnected themes. This was the baseline of future -longer- improvisations to come. The art of the piano solo reached peaks unforeseen before Jarrett: starting from the solo debut Solo Concerts: Bremen/Lausanne, released in a bold triple LP format, to the overly celebrated Köln Concert, until the gigantic effort of the 10 LPs release of the Sun Bear Concerts, performed at the end of the 70s. In almost a decade the pianist crafted a body of expression that reached the level of formal complexity of the sonata-form, mixing it with an unforeseen depth of the improvisatory language. An unconceivable point of connection between the influences of Johann Sebastian Bach and Cecil Taylor. Where Sun Bear concerts arguably represented the highest peak of this solo language, the following decade Jarrett struggled to destroy this perfect architecture, and mostly, the predictability of its schemes. Recorded in 1991, Vienna Concert gained immediately the status of a new solo concert epiphany in the pianist discography. This came at the end of a troubled decade from the performing side, with many personal downsides: but, on the other hand, it was a time hailing the start of the Standards Trio adventure, the renewed effort in recording classical repertoire and the rejuvenating experience of the multiple instruments solo Spirits. From the solo point of view, those years represented as well a moment of rupture of the previous forms. Vienna Concert still keeps the same format of approximately 40 minutes long sets, that Jarrett rarely made exceptions of between 1972 and 1996. It retains the same tonal richness of thematic movement and flows of improvised themes. What changes is an utterly different approach to the musical structures. Whether the urgency to create overlayered themes, to swiftly change the mood between a theme and another made the success of the previous ‘architecture’ was the old norm, now it was the moment to depart from that and to focus on a different level of expression. Relentlessly inquiring around the same themes for around fourteen minutes, the first part of the Vienna Concert set a completely different pace. Jarrett made the music flow, listened to it, playing the notes with no sense of hurry. He was caring for something that was underneath the surface. He was exploring a different sense of time. When he came back to solo recordings in 2004, after he had played forty minutes long set for the last time in a show only eight years before, he ended up choosing not to deliberately play that long. The previous forms were disrupted. Still, that sense of time, that sense of investigating beneath the surface he explored so deeply in the late 80s performances, was still there. From this point of view, the Jarrett playing in Vienna Concert is ideally closer to the one in the 2000s era shows, like La Fenice, and farer from than the one in the Köln Concert. Starting his shows with -often prolonged- atonal improvisations, wiped out of any tonal center, made of rambling rhythmic patterns with no apparent sense of resolution, has become the new norm in the 2000s shows. A thunderous overture, a bulk of chords played with a strong attack in a sort of listzian reminiscence, a dark sense of impetuousness opens the first part of La Fenice. Soon overlayering patterns, debris of rattling themes, are the surface appearance of a multitude of registers and meters colliding. Multiple themes start rolling in counterpoint at different speeds, twitching bursts of energy. When he places a bare two-note pattern on the higher register at around two minutes, this is like a mark for the future development of the improvisation. Repeated again and again until the five minutes, this bite size of musical information serves like a start/closing point between the slices of phrasings. Every of this groupings of cascading chords and scales is a pure flow of jagged themes, that inherit a strong sense of rhythmic richness. Getting rid of the purpose of reaching any tonal resolution, he chooses to go deeper in the rhythmic exploration. A second key theme enters at around five minutes: initially sketched, then growing and finally revealed as a symmetric descending scale. This fragment will be appearing again in the following minutes, functioning as a pivotal item of his exploration. Leading thunderous bass lines and then counterpointing melodies, played in unison on high and low register, he keeps the tension level at its highest at around six minutes and half. The following variation of the second theme is a breath taking fast pattern on the higher register. Then, accompanied by pianist’s usual moaning, descending to the mid register at the eight minutes mark. In some minutes the fast lines are becoming less important from a musical point of view: first Jarrett hints a sort of stride piano accompaniment around nine minutes and fifteen, and then finds a plateau on a repeating pattern, while the volume decreases. Few seconds later a dancing theme, a variation of the descending theme we listened to four minutes earlier, finally burns all the tension and finds a resolution. In an interview with pianist Ethan Iverson in October 2013 for Downbeat magazine, Keith Jarrett came up with the name of composer Elliott Carter as a recent discovery. Jarrett often drawed influence from classical music, and he has a corpus of classical works recordings, which includes pieces written by composers ranging from the eighteenth to twentieth century. Notably he released solo recordings of Bach, Handel and Shostakovich. But never approached or referenced before about Elliott Carter, a composer who grounded a new way of exploring the essence of rhythm in contemporary music. This is sort of an epiphany when investigating the last two decades of Jarrett solo works: looking at how he manipulated multiple rhythmic groupings and moved them at different speed, or at how he explored the richness of rhythmic spectrum in a different way than he did before, there’s a huge influence by composer’s piano works like the Piano Sonata and Night Fantasies. La Fenice‘s Part I is doublefaced: a ten minutes segment made by an erupting exploration of dense and complex rhythmic structures, followed by seven minutes of chord modulations that move in an involuted manner. The track is truncated and divided in two halves, but still keeps an hidden rhythmic coherency. Jarrett is setting, like he is often able to do in his solo works, an hidden sense of time that marks the rest of the performance to come. During the initial ten minutes, the pianist deploys an array of rhythmic layers, apparently linked only by a bursting energy. What connects this invisible net is a structure beneath. Music theorist Fred Lerdahl and linguistic Ray Jackendoff, who made a theory of rhythm in A Generative Theory of Modal Music, argued that raw sequences of themes, chunks of melodies are grouped during the listening act in rhythmic groupings. Instead of speaking about how accents develop over the meter, which was the predominant paradigm before, they focused on how those chunks relate each other, so creating a structural map of the rhythm. Each piece creates its own layering of rhythms, a hierarchy, according to rules that are, instead, always the same. How this hierarchy interacts and collides with the underlaying accents placed on the meter, that is what creates the sense of rhythm. This interaction is the fundamental basis of music. Part I of La Fenice is a virtual score, a map of this hierarchy that Jarrett enacts with his improvisation. Analyzing this piece only from the perspective of where accents and beats are placed, it won’t show a coherent structure, while looking at this tumultuous pile of debris swirling in a vortex like tectonic forces coming from beneath the earth, like groupings colliding together, this seems to unhide how this energy gets released. Some people think my playing it’s about being angry, but it’s not that. It’s about being ferocious. What happens when two improvised segments collide over accents, when a fragmented motif anticipates another, then reappears at the end of an improvisation, why moving fastly on higher or lower registers causes thrills to the body, that might be answered by this map made by the axis of metric accents and rhythmic groupings. Although he is improvising, and exploring an hidden place, he is able to create a coherent piece, that has the qualities of a complex scored. His ability to connect an invisible thread through multiple themes, moods, sections is the source of his unparalleled solo playing. Taking in account that the composing process happens live is, from this perspective, even secondary, as he seems to be able to imbue his improvised music with that same mechanisms that scored one has. He sets the stage and places his playing in a land where he is the only one managing the direction of time, the linearity of time. The listener still remains with the sole suspension of disbelief and a mystic-like trust in the musician, who retains an aspect of unfathomable wizardry during the creative process. If the thread is invisible, which is the direction the music is going to? Music theorist Jonathan Kramer identifies two main forces creating time in music, linearity and non-linearity. From a definition point of view, linearity is the determination of some characteristics of music in accordance with implications that arise from earlier events of the piece, while non-linearity is the determination of some characteristics of music in accordance with implications that arise from principles or tendencies governing an entire piece or section. Both forces operate at same time, no matter if we are speaking about tonal or atonal music, improvised or written: linearity is reflected in the processive elements like harmonic development, melodic movement, cadenzas; non-linearity is not processive, but can be instead found in the premises of the music itself, as example a standard blues is expected to have twelve bars duration and a specific cadenza. Jarrett is playing with linearity in a multifaceted way. In Part I he creates a multiplicity of time that finds an apparent resolution in the initial minutes. Still the following chords moving section of Part I keeps an unresolved and investigative multiplicity of directions. Interestingly the late Jarrett often places this open explorations of time at the start of his shows, a sort of glimpse at what he is going to do in the rest of the performance. This is very close to those works that Kramer indicates as ‘multiply-directed time’: time is organized in discontinuous segments, that are constantly reordering the sense of time and the listener perceives a linearity underneath, but it’s not clear at surface level. The bluesy vamp of Part III, which is the perfect environment for Jarrett‘s joyous phrasings, is instead creating a prolonged sense of stasis. Not only ‘multiply-directed time’ or ‘linear time’, some works might be categorized according the definition of ‘vertical time’: time is extended to an huge duration and themes do not seem to follow a hierarchy, like in many minimalistic compositions. Even if it does not completely fit Part III, still it’s interesting to notice how Jarrett creates this vast plateau of sound and this sense of verticality. Once the track, after six minutes, veers to a modal single chord ostinato, the pianist plays an unstructured improvisation above it and increases even more the perception of a vertical time. The sense of time is not directly linked with a composition being tonal or atonal. Part II is a scattering cascade of nervous phrasings, but still keeps a clear linearity. Jarrett goes up and down the registers, starts and stops, but still plays the same bunch of chords during the opening and the closure, thus creating sort of a temporal arc. Part VI has a clear sense of direction as well, but from a completely different perspective since being much a longer piece, thirteen minutes against the three of Part II. The haunting harmonic section played in loop creates a sense of slow movement. Through a linear progression of time, the energy increases in a crescendo, until at around eight minutes and thirty it is so high that, when Jarrett plays a single chord momentarily out of phase, it resonates high and pushes the attention level to a moment of clarity. Underneath the surface Jarrett is still playing with non-linearity and how listeners expect the time being developed. The pianist seemed to be playing similarly shaped improvisations at start or in the middle of the performances during last two decades shows. Even if there is a subtle sense of coherency in the way he plays the improvisations one after the other, what happens at surface level is unique and holds a mark of unpredictability, and the trail below is still hidden. La Fenice is a snapshot of a clear direction in the career of the pianist, which has not to be confused with a exploratory or transitional phase, like many thought after the shows in 2004. Moving through a journey, we are now able to see the development of a language that started earlier, through Dark Intervals, Paris Concert and Vienna Concert in 80s, then via La Scala in the 90s. Time becomes more central in his playing, even though in a less apparent fashion. Through the entire show recorded at La Fenice in 2006, he draws a secret map. It’s much like what Borgues told in the epilogue of his Dreamtigers, we can read a secret trademark of the artist if looking from the above at the worlds (s)he created: if we could see a map of Jarrett‘s works from the top, it would be unveiling the facial features of Jarrett himself. 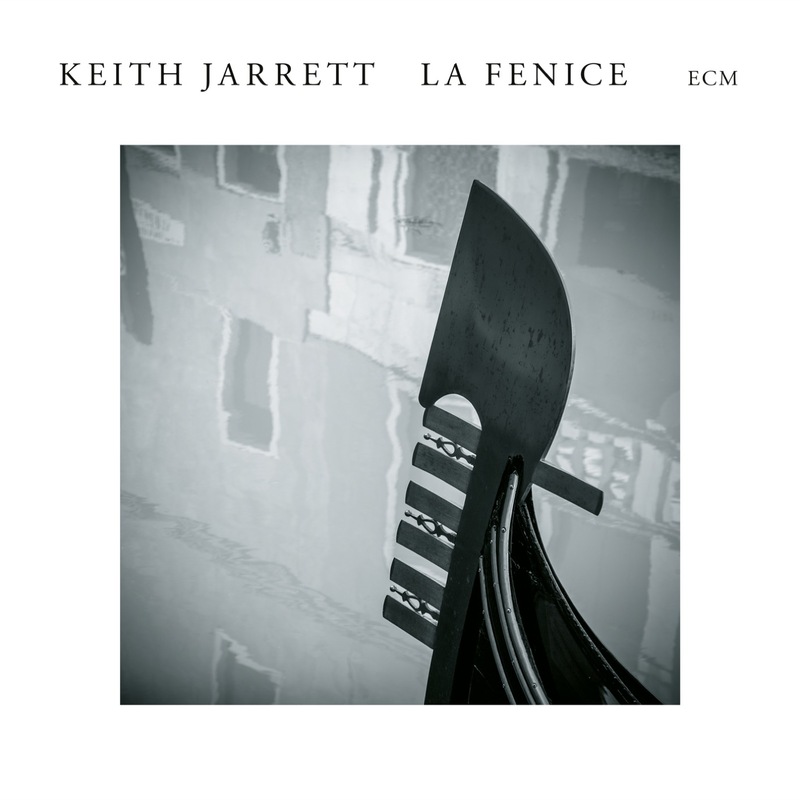 Recorded on July 19th 2006 in the theater holding the same name in the city of Venice, Italy, La Fenice is a celebration for Keith Jarrett being honored of the Golden Lion prize at 62nd International Festival of Contemporary Music of the ‘Biennale di Venezia’. Thanks to Marie Ferre, ECM press office, and Ducale Music, ECM distributor in Italy.